A very popular design, incorporating everyone's favourite stitches. The background fabric is handpainted by us for you, so you can get stitching straight away and create the gorgeous garden on a box. 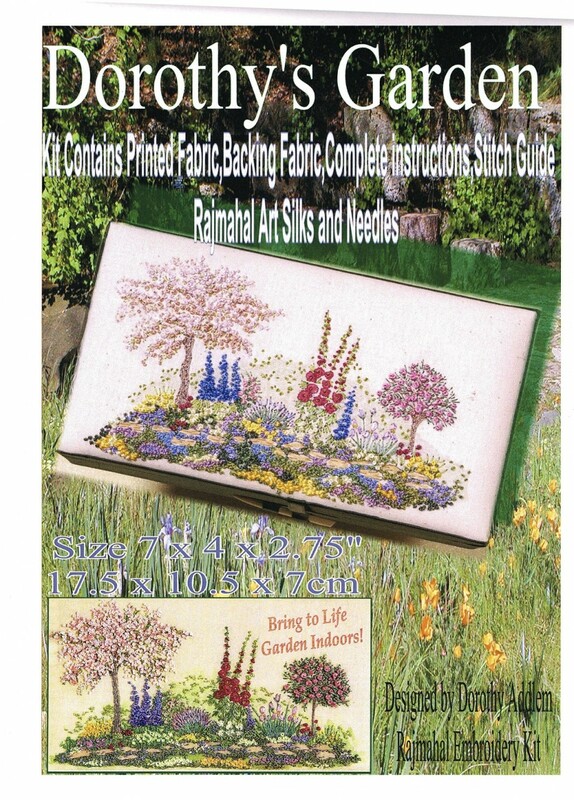 Kit contains Painted Fabric, Backing Fabric, Complete instructions, Stitch Guide, Rajmahal Art Silks, and Needles . 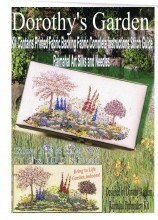 Click the button below to add the Dorothy's Garden Kit to your wish list.